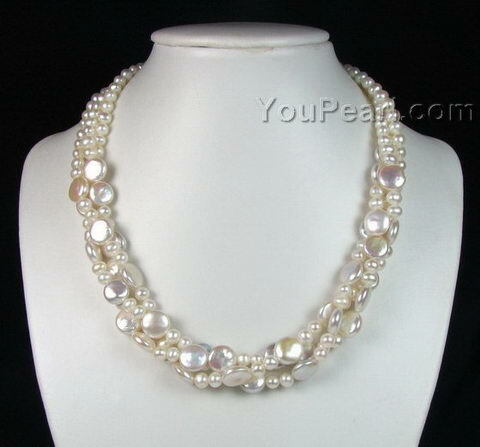 This beautiful necklace is composed of 3 strands of pearls. Each pearl is individually knotted on the finest twin silk. Length 16" could be twisted to about 14", while 18" could be twisted to about 16" and so on.